Price shown includes Dutch tax. Final price may change based on your shipping address. Pack for the race! 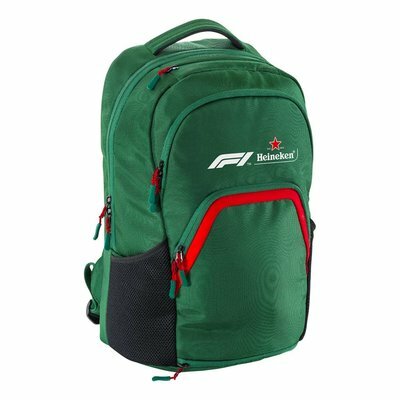 Carry your passion for the world's greatest races, by wearing the stylish Formula 1 dark green backpack. With a capacity to hold up to big capcities litres, the bag is suitable for sports, travel and many other activities. © Copyright 2019 Online Drinks B.V.
Get all the latest information about new Heineken® products, services and discounts via email and social. You can always opt-out.